Author J. Gresham Machen once wrote “The very center and core of the whole Bible is the doctrine of the grace of God.” In fact, grace is the most important concept in Christianity and the world. It is most clearly expressed by God’s promises, as revealed in Scripture and embodied in Jesus Christ. Grace is the love shown to the unlovely; the peace of God given to the restless; the unmerited favor of God. It is this type of grace we are called, by God, to provide others, just as God provides to us. 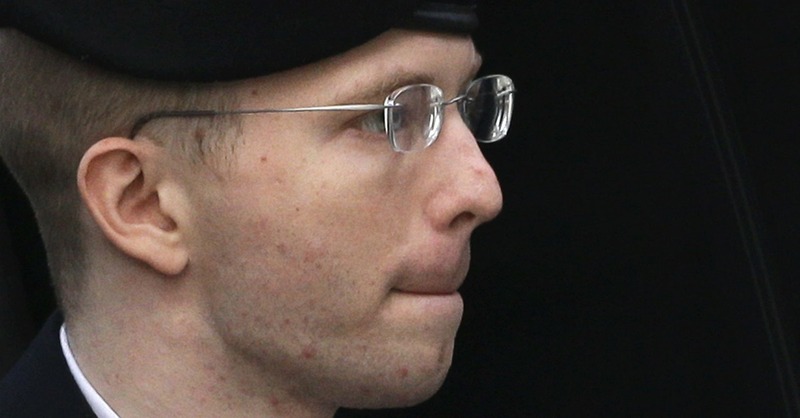 This form of grace – this form of love – is the first thought crossing my mind after hearing of Chelsea Manning’s commutation. As you may recall, Ms. Manning is in the seventh year of a thirty-five year prison sentence for leaking classified military data to Wikileaks. In this essay I will neither review nor comment on either the nature of the crime nor the prison sentence. Rather, I simply choose to focus upon the President’s act of grace. In truth, I have no idea why President Obama commuted Ms. Manning. Suffice it to say, there are probably many who are equally deserving. And I respect and honor all the effort and love for those who fight on their behalf. There are many who claim the disclosure of documents was brutal, that many were impacted by the breach. And therefore, Manning is unworthy of such grace. Others will claim American taxpayers should not pay for Manning’s gender identity and counseling. I sympathize with such thoughts. Then again, as a taxpayer, I did not want to pay for the Iraq war and I certainly did not want to pay for the military effort in Afghanistan as well. As such, every taxpayer in America sucked it up and paid the price. I also did not enjoy reading, seeing and hearing of American soldiers committing horrendous acts of brutality either. Yet many remain at large, free from prosecution. Strictly speaking, the blessings of everyday grace does not appear to descend from a Supreme Being or deity. Rather, grace comes from the normal interaction of people meeting people, by enlightened travelers who go forth, interact, forgive and love daily. At the core of our humanity, all of us want to believe and embrace grace. At the same time, at our most human level, none of us will never emit the powers of Christ. Yet Christ and left humanity with two of Christ’s most powerful weapons – love and grace. These weapons transcend every day smugness, anger and hatred and provides real grounds for human hope. Transcendent grace reaches beyond our limitations of human understanding and provides relief to those who suffer. I believe this is the same form of grace Manning received. We don’t have to assess evidence for worthiness. We don’t have to condemn the fallen. We don’t have to impose our own limited bias to a woman most have predetermined forever unworthy. What’s honorable is that somewhere, somehow the President of The United States reached down to a very wounded soul and provided grace. It should be our hope that all of us receive this level of love.